We’re proud to announce that through our friendship with The Hudson Rotary Club, we’ve donated and successfully completed a newly redesigned website for The Children of Ubumi — an orphanage in Zambia. We’re very proud of our volunteer work and donations and this work has allowed us to make a small contribution to a global problem that affects us all. Vulnerable and homeless children in any country should be a top concern for all of us and we’re glad that we could help them with this donation of time and skills. 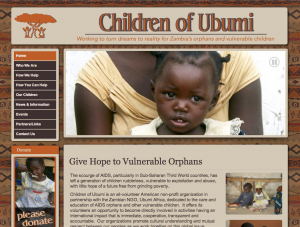 Children of Ubumi is an all-volunteer American non-profit organization in partnership with the Zambian NGO, Ubumi Africa, dedicated to the care and education of AIDS orphans and other vulnerable children. It offers its volunteers an opportunity to become directly involved in activities having an international impact that is immediate, cooperative, transparent and accountable. Our organizations promote cultural understanding and mutual respect between our peoples as we work together on this global issue. If you’re interested in helping or donating in any way please visit the website for more information. 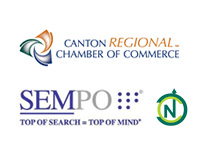 Sanctuary Marketing Group will be hosting and maintaining the website indefinitely and free of charge. Special thanks to our staff member Ashley Rochford for managing this project from beginning to end. We’re very proud of the end result. → The mobile website vs. app debate – What’s the best choice?